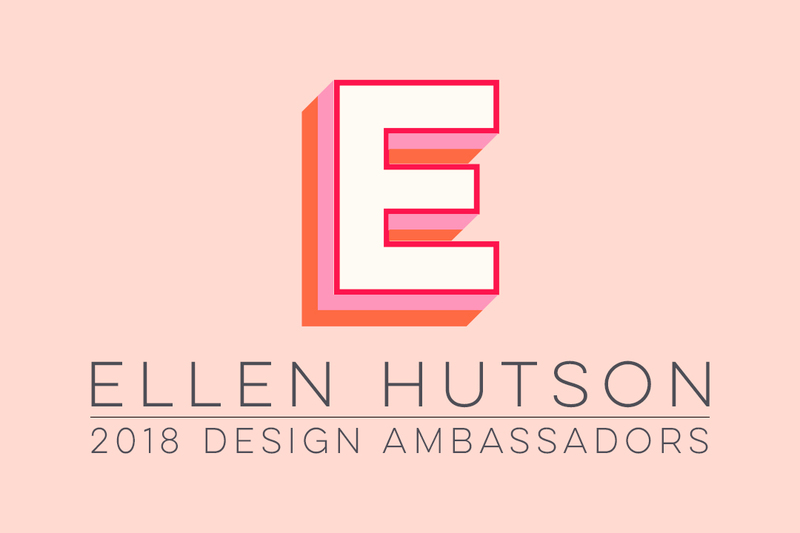 Hi there, my name is Carolyn Peeler and I was delighted to be asked to participate in today's Crafty Friends hop on behalf of Ellen Hutson, LLC. Ellen has carried the Altenew stamps since the company first launched, and their beautiful layered stamps are perfect for creating everything from very modern, to exceedingly vintage stamped projects. If you've been following along with the blog hop, you should have come here from our friends at Scrapbook & Cards Today. If you're lost and want to start at the beginning of the hop, please head to the Altenew scrapbooking blog. I choose to use the beautiful Altenew Watercolor Wonders set for my project today. It is pretty and, depending which colors you use, can create bright and fun, or warm and autumnal projects. My inks on this card are from the Altenew Cool Sumer Night four pack (for the flower), and the Green Fields four pack (for the greenery). The "thanks" stamp is from the "Fancy Thanks" set by Essentials by Ellen. After stamping it with the black ink from the Green Fields ink set, I then re-stamped it with clear embossing ink and embossed it with clear embossing powder. I used a MISTI in order to be sure to stamp in exactly the same spot both times. Patterned paper info can be found below. After I completed my first card, I decided that it would be fun to create two more featuring different color families. I made one card with the Altenew Summer Afternoon four pack and the second with the following three Altenew ink colors: Frosty Pink, Coral Berry, Rouge. The greenery for both additional cards were also stamped with ink from the Green Fields four pack. For the patterned paper, on all three cards, the top paper is the marbled background from the Heidi Swapp Magnolia Jane paper pad. And the paper strip on the left side of the card is from a piece of paper from the (discontinued) Brighton Pier 6x6 paper pad. The other patterned papers were from my stash of 'leftovers'. I can never throw things out, and saving patterned paper scraps allows me to not have to cut into a new piece when all I need is a small strip. As I send you onto your next stop on the blog hop, thank you for visiting with us today, we hope to see you again here in the CLASSroom, or over on our Instagram account. Your next stop is the blog of Kathy Racoosin. Special Offer: Altenew is offering FREE U.S. shipping with code CRAFTY or $5 OFF international shipping with code FRIENDS at checkout. Offer valid from October 17th at 12:01 am EDT through October 19th at 11:59 pm EDT. Not valid on prior purchases. Cannot be combined with other promo codes. Prizes: Altenew is giving away a $100 Altenew prize pack to FIVE lucky winners. There are also 13 awesome companies/magazines who are offering the following prizes (see below) Be sure to leave comments by Friday, October 27th, 2017 at 11:59 PM EDT for a chance to win! 21 WINNERS will be chosen at random from the comments left on all of these blogs listed below and will be announced on the Altenew Card Blog and Altenew Scrapbook Blog on October 28th, 2017.